Age 84, of Jackson, passed away at her home under the loving care of her family and Henry Ford Allegiance Hospice. She is survived by her daughter, Cheryll A. Erickson; daughter-in-law, Carrie A. Barr; granddaughter, Elaine M. (Cara Nader) Barr; brother, Lewis Bruce; several nieces and nephews. 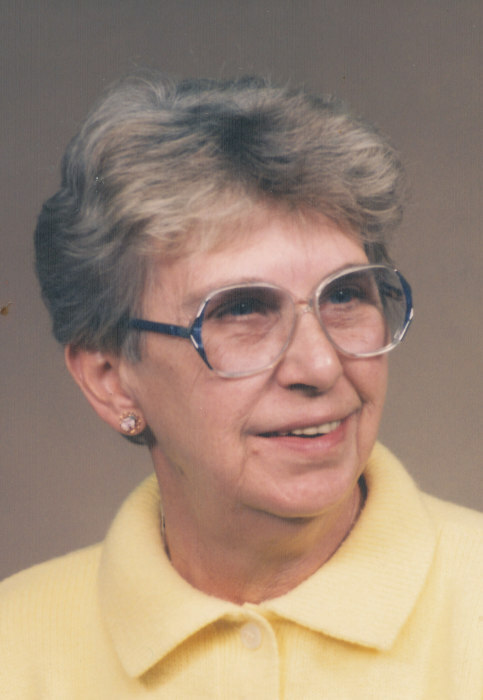 She was preceded in death by her beloved husband, Alfred W. Barr Sr. in 2002; her son, Alfred W. Barr Jr.; two sisters, Robbie Durfee and Nancy Thornton and parents, Robert and Nora (maiden-Graves) Bruce. She was a gifted seamstress and owned and operated “Go the Extra Mile” house cleaning service for many years. She enjoyed visiting and contributing her sewing projects to craft shows. Mrs. Barr has been cremated and she will be interred next to her husband at a future private service. Her loved ones request that contributions in her memory are directed to the Cascades Humane Society, 1515 Carmen Drive, Jackson MI 49202, Jackson County Friends of the Animal Shelter, 3370 Spring Arbor Road, Jackson, MI 49203 or HF Allegiance Hospice, 100 East Michigan, Suite 400, Jackson MI 49201 and wish to especially acknowledge their gratitude to the HFAH nurse Melissa for all her caring and compassion.